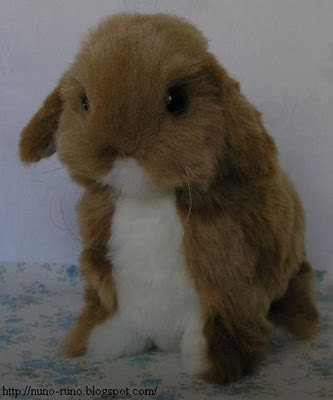 I have posted pages of rabbit making. -->> How to make stuffed rabbit. I hope you like to make one. 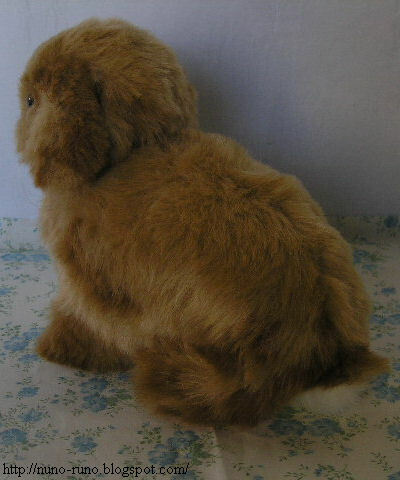 And this is a lop-eared version. The pattern is the same (used big ear). I think it is like a puppy. The Japanese earthquake and the tsunami did big damage to Japan. Over 10,000 persons died. Towns and villages were destroyed. I hope you pray for victims. Some people were worried about me. Thanks a lot. I am alright. So I contributed some money.